You need to prepare your character before building a puppet’s deformation skeleton. 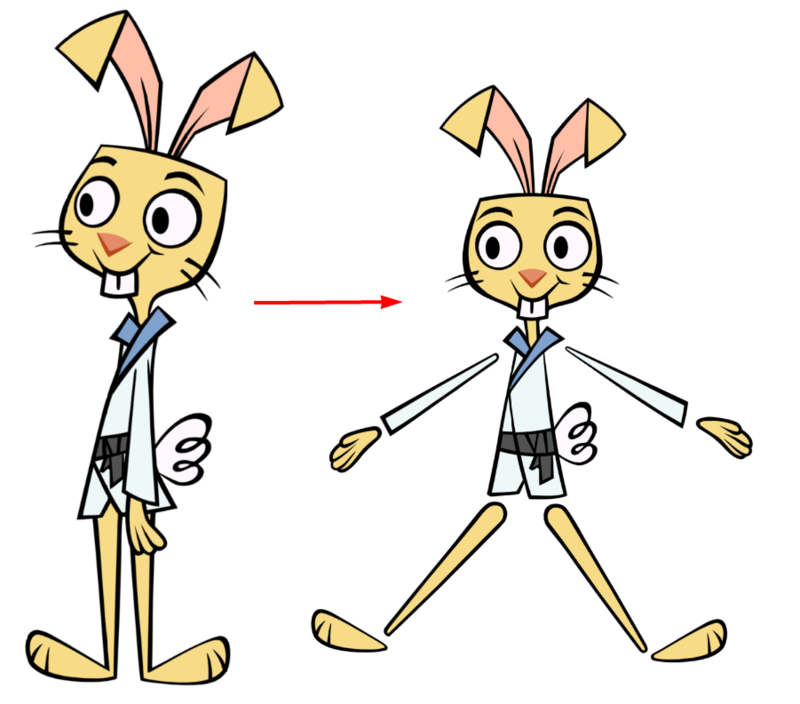 The best way to proceed is to have the limbs on separate drawing layers, this is similar to a standard cut-out puppet preparation, but uses less pieces. Since this is a more advanced type of puppet you should keep the character’s head, hands, feet and facial features on a separate layer from the body, arms and legs. This will avoid the extremities from being distorted if the limbs are stretched during an action. It will also let you use the drawing substitution to swap hands, feet, eyes and mouth poses during animation. Refer to Swapping Images to learn more about drawing substitution.